This weekend’s Race Of Champions will take place on a specially constructed pursuit-style racetrack at Mexico City’s Foro Sol, which was completed today ahead of the first practice laps by some of motorsport’s greatest drivers including Dumfries and Galloway’s race ace David Coulthard who is representing Team GB and defending his champions title from 2018. The track was completed today ahead of the first practice laps by some of the ROC Mexico competitors – including ‘Mr Le Mans’ Tom Kristensen, Formula E Champion Lucas di Grassi, the 2018 eROC Champion Enzo Bonito plus Mexican drivers Memo Rojas, Benito Guerra and Esteban Gutierrez. 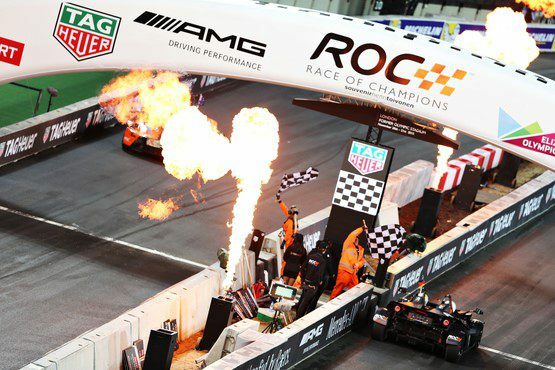 The traditional knockout format will otherwise be the same for both the ROC Nations Cup and the individual Race Of Champions, with tension building via quarter-finals and semi-finals all the way to the Grand Final when the last two drivers will battle for the ultimate title of ‘Champion of Champions’. ROC president Fredrik Johnsson said: “This weekend’s ROC Mexico will see some of the world’s greatest drivers competing on a very special racetrack.